The open road beckons, and as a red-blooded guy who loves anything made by Italian automotive artisans, I don’t need a second invitation. Push the red button, a blip on the throttle, pull on the right hand paddle to engage gears, and we’re off. I don’t know how to accurately define the noise – was it a chirp, a scream, a howl? 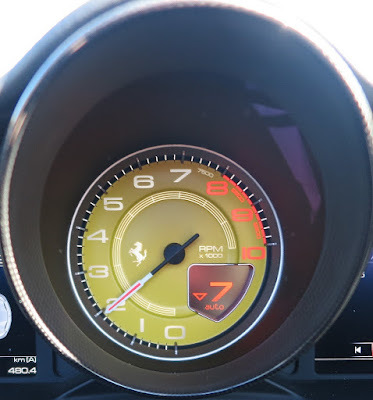 I haven’t got time to think, I had my eyes glued to the huge yellow tacho in front of my eyes as the needle raced around the dial to the redline at 8000rpm. As the Pirelli’s clawed the bitumen for grip we achieved wheelspin in third gear and the rest is a blur. 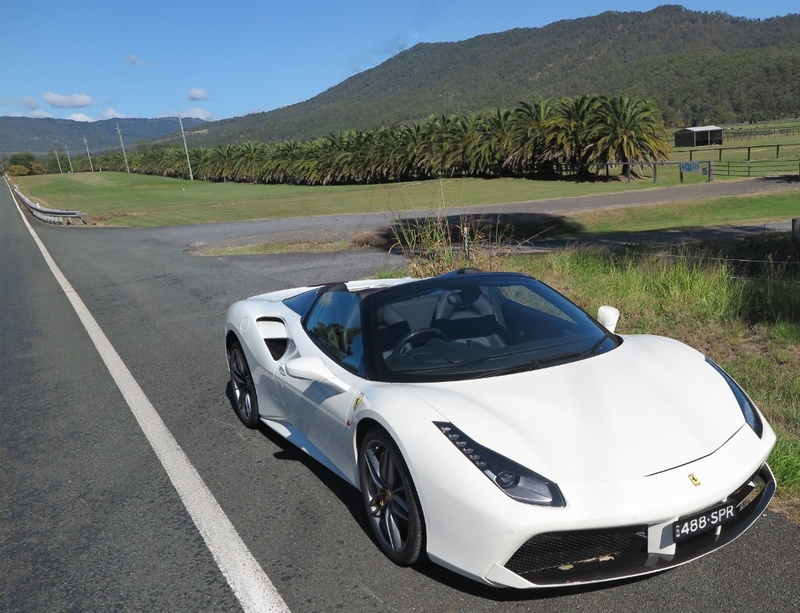 Accompanied by the magnificent exhaust noise, the Ferrari 488 Spider launched itself forward like an Exocet. Bloody hell, what a fabulous experience. 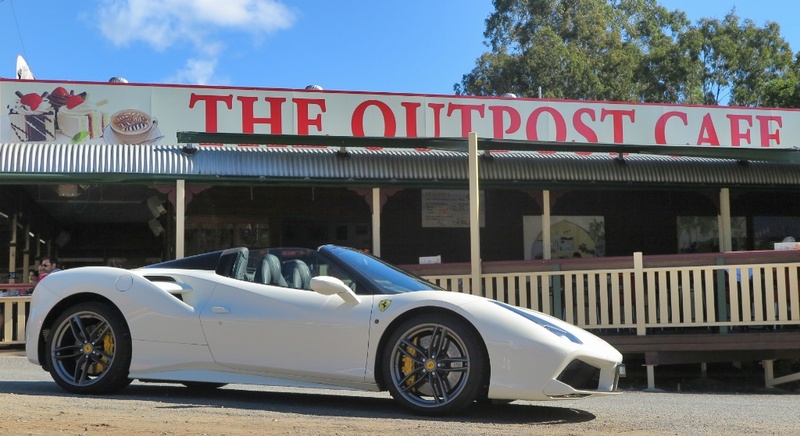 It was only a short test drive, from my driveway on the Gold Coast, out west to the Hinterland, and eventually, reluctantly handing over the red key fob to Paris and Steve at Ferrari Brisbane. Their questions about the experience had the ring of a rhetorical statement, accompanied by sly grins. They knew exactly what I was going to say – they will deliver eight of these beauties this year and they know full well what’s in store for their new owners – pure unadulterated pleasure. After that short sprint to the redline in six of the transmission's seven speeds, I pulled over for a rest, and time to contemplate the beauty, the craftsmanship and the packaging. Designer Flavio Manzoni has excelled with the lines, the proportions and the surfacing. 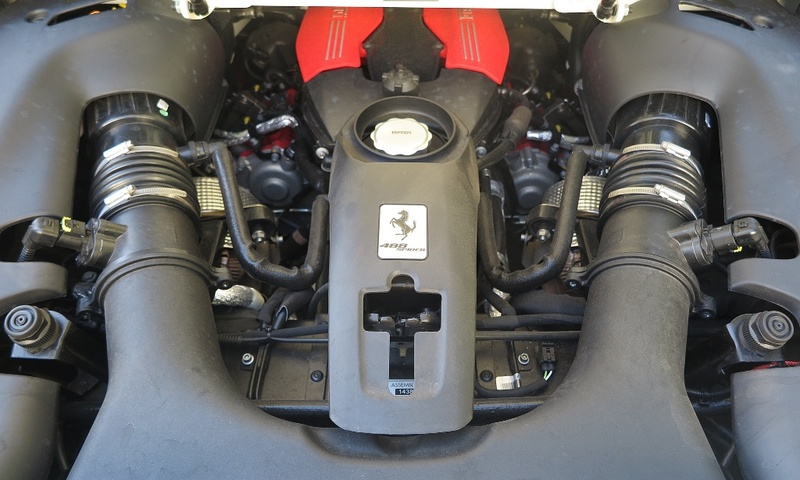 The Ferrari engine builders, who created the twin turbocharged 3.9L F154CB V8 have also done their best work. 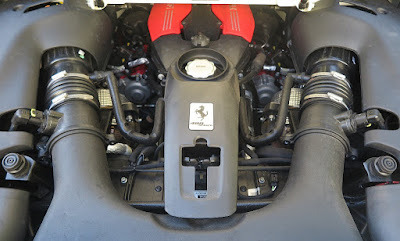 It is a jewel of an engine, outperforming the larger capacity 4.5L V8 in the 458 Italia, producing 493kW (661hp) thanks to twin scroll turbochargers provided by IHI Honeywell. 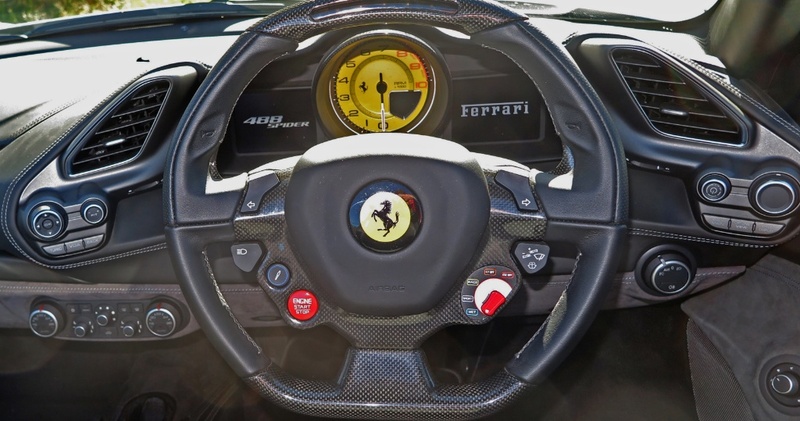 The seven-speed gearbox is an automated manual, dual clutch F1 transmission made for Ferrari by Getrag. 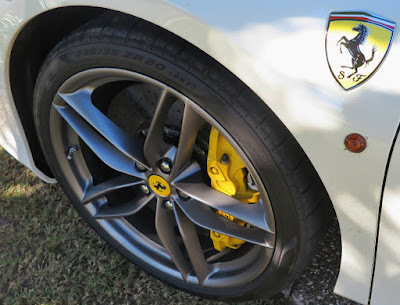 All that go needs some stopping, so the 488 comes standard with carbon ceramic brakes, but be warned, if you are howling through the countryside at warp speed, they need to be warmed up to work 100% effectively. The other thing about the 488 is that Manzoni has not only achieved automotive art of the finest, but downforce is increased over the 458 by 50%, while still reducing drag. A newly-designed blown rear spoiler integrated into the rear deck and bumper negates the need for a raised wing. The scalloped side vents recall the famous 308 GTB, but they serve a dual purpose, funneling air into the turbos, and at the same time directing air which exits around the rear tail lamps, increasing air pressure behind the car to reduce drag. I’m told that even the door handles have an aerodynamic purpose, moving the air towards the vents. Everywhere you look, there’s a contribution to the overall excellence of the car, whether it's aerodynamics, performance or just a simply beautiful coherence of the shape and stance. There’s even consideration for not scraping the front splitter on your driveway, with a switch on the dash, which subtly lifts the front of the car to increase clearance. The last Ferrari I drove was the closed 488 GTB, about two years ago, but the test drive was short, and didn’t offer enough time and opportunity to exploit its performance, so I am especially delighted to have been able to sample most of the delights of the 488 Spider. From a ride and handling perspective it's almost a perfect compromise. The low speed ride is excellent, it turns in beautifully, without any of the 'twitchy, over-sensitive' steering which is often part of more extreme race cars in street car disguise. Of course, there’s a natural barrier to this love affair ending in consummation, and it’s the small matter of AUD$565,000 finding its way into my bank account. However, at this end of the market I think it would be money well-invested - in pleasure behind the wheel, whether you were parading it in a truly docile manner through the city; or riding an Exocet through the countryside. 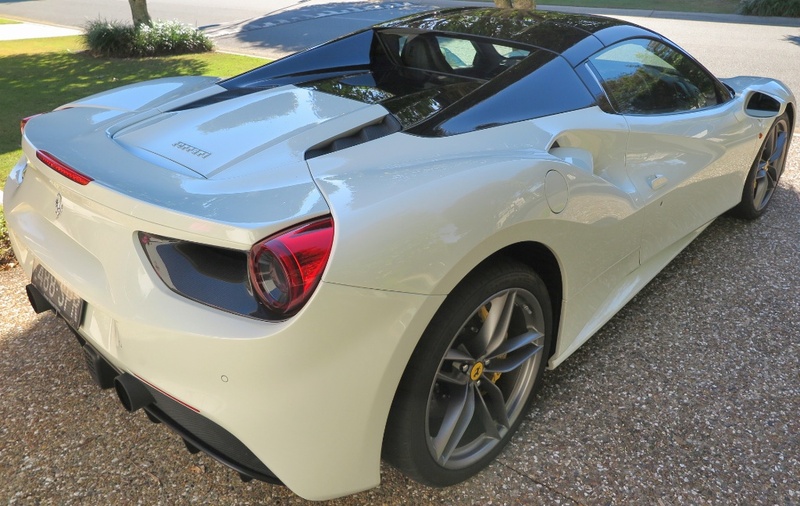 The Ferrari 488 Spider would be my choice, despite the sensual and svelte styling of the GTB. You get a roof which would stop my balding head from burning up in the sun, and then tripping along, with wind in the hair and that gorgeous howl of the V8 following you down the road. It plays nice when forced to, but unleash it, and you have to call on your driving skills to manage the beast. But it was great while it lasted. It’s a magic missile, with excellent manners.